• 1800 sqft , 3 bath , 1 bdrm single story – FOR SALE CAD250,000 . Business Opportunity! Excellent Resort Business Opportunity. 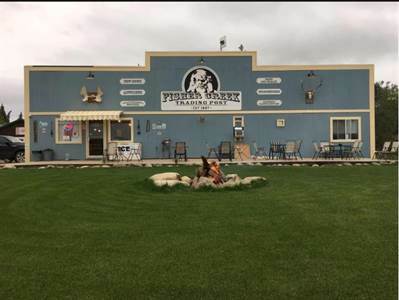 1800sqft, 4 Season, Commercial Business with living quarters, located on 1/2acre (160′ X 115′) a commercial property in the wonderful Fisher Creek Subdivision. Currently Open, Turn Key: Set-up at basic breakfast restaurant, convince store & retail shop with special permit liquor license. Completely renovated. New Furnace, water heater, wiring upgrade, pressure system, 2200 Gallon Water Tank, plumbing features. Inside has been complete redone with new cedar on the floor and ceiling. Foundation improved with complete new spray foam insulated, new metal roof R25 attic. Adjacent to busy highway #205. Not only a excellent location in the Fisher Creek subdivision, but one of the only commercial properties in that area. Great access to hwy, provincial campground & all subdivisions on the West side of the lake. 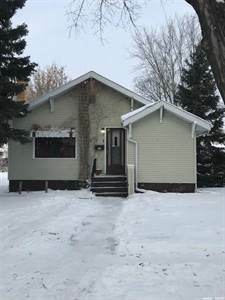 • 977 sqft , 2 bath , 4 bdrm bungalow – FOR SALE CAD149,900 . • 1080 sqft , 1 bath , 2 bdrm single story – FOR SALE CAD459,900 . LAKEFRONT! 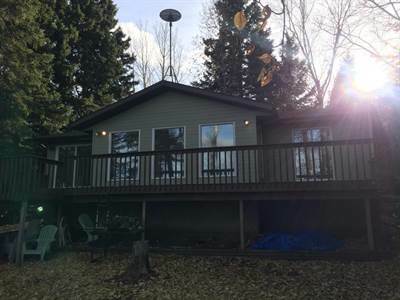 This LAKEFRONT cabin in situated on a well treed lot for plenty of privacy in the quiet Clearsand Subdivision. It has 2 bedrooms with an open floor plan, wood burning stove and in floor radiant heat and has always been heated year around. Large master bedroom could easily be converted to 3rd bedroom. Water is from the lake with a septic tank. Large stone pizza oven is on the waterfront side. Plenty of fish have been caught right off the dock! • 1000 sqft , 2 bath , 3 bdrm bungalow – FOR SALE CAD246,901 . • 1242 sqft , 2 bath , 3 bdrm multiplex – FOR SALE CAD200,000 . Well looked after condo on scenic River St, 2 bd, 2 ba + den! Beautiful solid wood Kitchen Craft cabinets. Both large bedrooms feature walk in closets, master has a 3 pc ensuite. Quiet, south facing balcony has great views of the city and you can watch the fire works from your balcony! This unit comes with an indoor, heated parking stall. There is also an exercise room and a meeting room. Right out your front door you can access the walking trails along the south bank of the North Saskatchewan River. 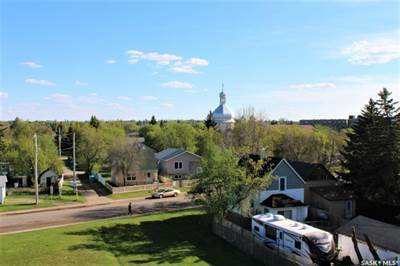 Close to numerous amenities including; Mair Park, Little Red River Park, and Cornerstone Shopping Centre. Located next door to Riverside Community school and minutes away from Ecole Valois. Hopes Home daycare is just up the street. Prince Albert National Park and Waskesiu lake are an hour away, Prince Albert is considered the “Gateway to the North”, with over 1,600 lakes to choose from! 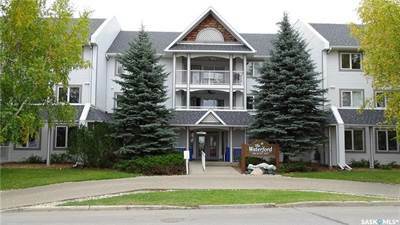 Whether you want to retire closer to our northern outdoors, need to move back to the city from living at the lake or want a quieter pace of life, this condo would be perfect for your needs. Call your agent today to have a look. • 1173 sqft , 2 bath , 2 bdrm apartment – FOR SALE CAD280,000 . 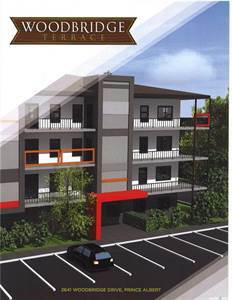 • 1184 sqft , 2 bath , 2 bdrm apartment – FOR SALE CAD229,900 . 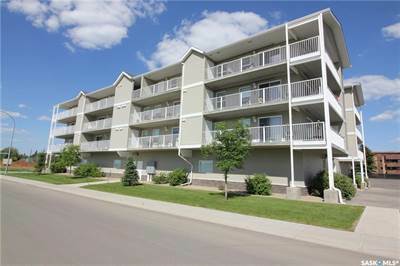 Spacious 2nd level condo that shows very well. This east facing 2 bed + 2 bath condo has some very nice features, including: new vinyl plank flooring throughout main areas plus new lino in kitchen and bathrooms. 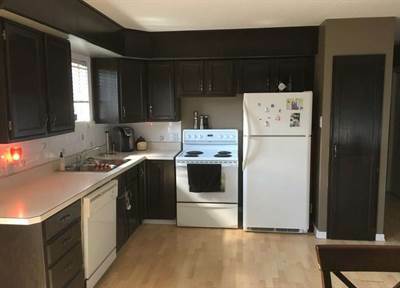 Kitchen cabinets and countertops are newer and the condo has fresh paint to compliment everything. Single detached garage and two additional exterior titled stalls are also included in the price.